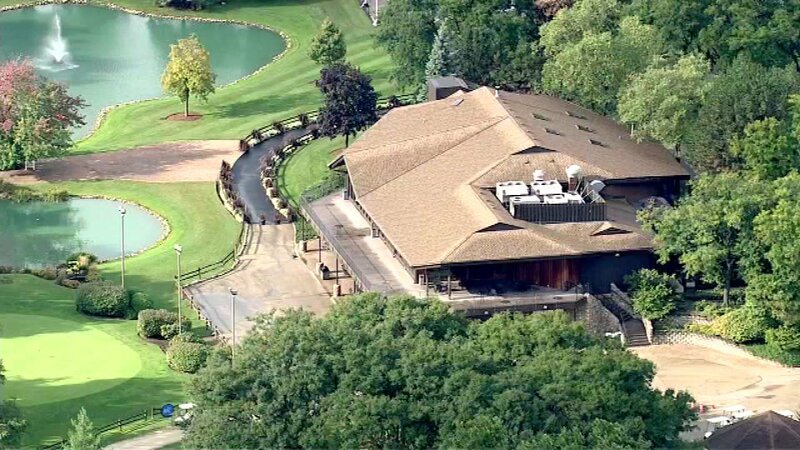 White Pines Golf Course in Bensenville, Ill.
BENSENVILLE, Ill. -- A 37-year-old woman who was stabbed to death and dumped at a golf course in northwest suburban Bensenville more than a month ago has been identified. Johnathan Condrey, 44, faces first-degree murder charges after the 37-year-old woman's body was found about 8 a.m. Sept. 29 at White Pines Golf Club & Banquets at 500 W. Jefferson St. in unincorporated Bensenville, according to Cook County sheriff's office spokeswoman Sophia Ansari. She has since been identified as Mackie S. Cheshire, according to the DuPage County coroner's office. About three hours before the body was found, the two had gotten into an argument at their home in the 11500 block of West Grand Avenue in unincorporated Melrose Park; and Condrey fatally stabbed her in the back, according to sheriff's police and the coroner's office. He then drove the body three miles to the golf course and left it there, according to sheriff's police. Condrey was ordered held on a $1 million bond on Oct. 1, according to the sheriff's office. He is next scheduled to appear in court on Nov. 10 in Maywood. A second man who was initially taken into custody was released without charges.